One of the most recent emerging trends in HDTV are 3D TV’s. 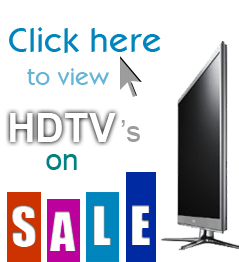 These TV’s are just breaking into the market and as history has proven, they are starting are pretty outrageous prices. 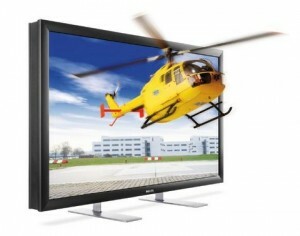 Many manufacturers expect 3D HDTV’s to really break out in 2011. Many HDTV manufacturers including LG, Sony, Samsung and others are producing, selling or have announced 3D TV’s in size ranges from 42-inches clear up to 72-inches. Many of these well-known manufacturers are gearing up for the new wave of HDTV viewing, 3D enabled HDTV. In fact, Sony is predicting that half of all HDTV sales in 2012 will be 3D TV’s. As with most new technologies, 3D HDTV’s will likely be out of most people’s price range for some time. Additionally, many people are predicting that viewing glasses will be a separate purchase and could be upwards of $200 per pair. If you have a large family or like to entertain, this could be a significant cost. Although 3D HDTV’s will be pricey for many years to come, we can only imagine how TV, movies and video games will begin to adjust. Media viewing will be a completely different experience 10 years from now and video games will be more and more interactive. Should you bother with 3D TV? It is still possible to buy a non-3D capable TV but as you look at the new models coming out, you’ll notice many of them are 3D capable. Even if you are not interested in 3D viewing, this shouldn’t scare you off. 3DTV’s also do an exceptional job at displaying traditional 2D content. Nobody can really say if 3D will be successful but many signs seem to point to it being around for some time in one form or another. Some TV’s require battery-powered 3D glasses, some don’t require batteries and companies are working hard to develop 3D TV’s that don’t require any glasses at all. While this won’t likely be as good of an experience, it could help with those who are resisting 3D HDTV for that very purpose. If you’re in the market for a TV, you don’t need to worry about waiting on the evolution of 3D TV. It will likely be some time before TV networks and other media sources really catch on and start producing 3D content in mass scale. If you’re one of those people opposed to 3DTV, you also don’t need to worry about buying that 3D TV. It will absolutely work with traditional content and being the newest models, they will likely be better at displaying 2D content than a 2D-only model. Leave your review below to tell us what you think. Your reviews may be moderated to filter spam or inappropriate comments. Enter your email address to receive a FREE list of the best HDTV’s on the market today, hot HDTV deals and tips to maximize your HD experience!